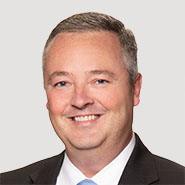 Wilmington, DE - Timothy E. Lengkeek, a Partner in Young Conaway's Personal Injury and Workers' Compensation Section, has been elected President-Elect by the members of the Delaware Trial Lawyers Association. He will begin his term as President in 2012. The Delaware Trial Lawyers Association is a non-profit organization dedicated to serving the citizens of Delaware through its trial lawyers. For more information, visit www.dtla.org.